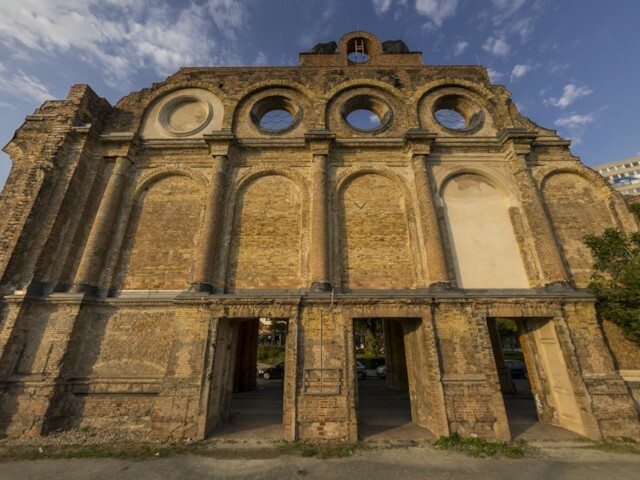 The ruin of the Anhalter Bahnhof is the remaining structure of a former railway terminus in Berlin, Germany. It was severely damaged in World War II, and finally closed for traffic in 1952. Reprojected version of a panorama I made at the Streelife2011 Ex+Hop contest. View from Mount John over Lake Tekapo. Standing on Mount John offers a mgnificent view from Lake Tekapo in the east to the Southern Alps in the very west. Panorama standing on the foot of Haytor. This panorama shows the meeting venu of the Interational Panoramic Photography Festival in Palmela. It was taken with a pole in the center of the Cine-Teatro São João.